Thumbs up for my server! Since the first day is running 24/7 without problems! 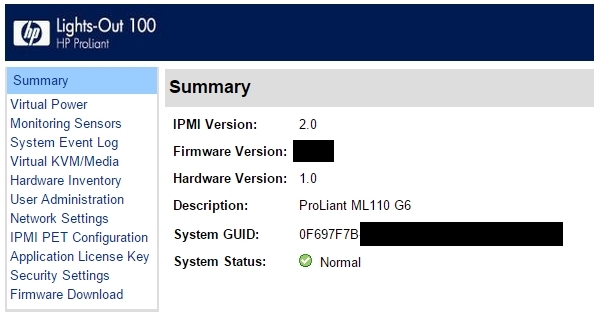 It is a HP ProLiant ML110 G6 with 4 cores CPU (Xeon X3430 2.40 GHz) with 16 GB RAM, 128 GB SSD and 1.8 TB HDD. 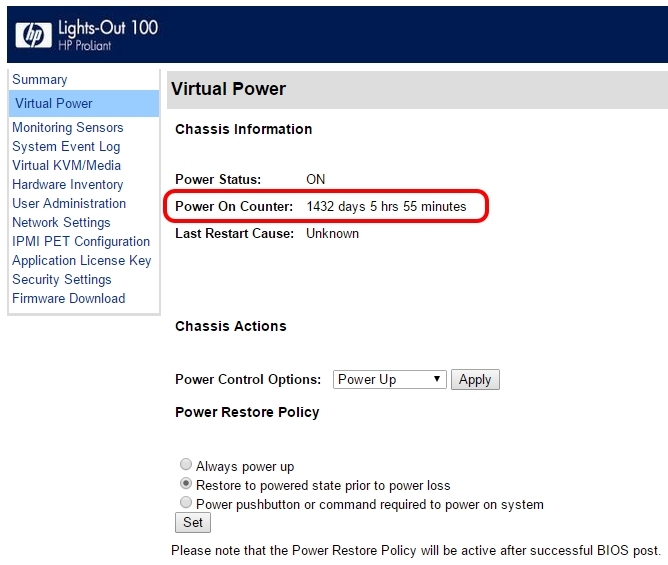 The electricity server consumption was estimated using the calculator available on apc.com web site. Let’s see how big of a difference is with Microsoft Azure. How much I would pay for a similar configuration for 1432 days usage with an Standard D3 VM (Non-Windows) (CPU: 4 cores, RAM: 14 GB, Disk size: 200 GB)? I am not against the cloud! I know is not the same thing – hosting a server in a room house is different than hosting a VM into Azure. I know the benefits of using Microsoft Azure – starting with creation time, continuing with the elasticity, availability … all the good stuff. My point is: you can run cheaper than Microsoft Azure, or any datacenter provider if you host your infrastructure internally. Of course, you pay a lot more money at the beginning (unless you have payments for the hardware purchase), you cannot scale up that easy, sometimes you have to buy a new box to be able to reach a specific computing power, physical security, failover, … . All these come with a price, but what about those situations when you definitely don’t need them? In those scenarios you get way more cheap having your own physical servers. In my case 78% cheaper! Medium companies => it gets complicated! Before doing an investment into the cloud and getting radical with your infrastructure => put everything on the paper and be realistic. Run the cost estimations for a period of minimum 5 years. Even if it is considered old style, take into consideration also the scenario when you will host your infrastructure in-house. Don’t believe in what cloud providers advertise. Run a trial first! Short story behind – why do I have my own server? It started in 2006 when I realized the infrastructure offered by the University where I studied was not enough for my needs. It was not a real server. It was a CBSBW (custom-build-student-budget-workstation). It was the first PC (“server”) who was kept on for days. I finished my studies. My needs changed. I did couple of upgrades to it and I transformed it into a “server” (Windows Server 2003 R2 + Microsoft SharePoint Services 3.0 + Virtual Server 2005 R2). It survived till end of 2010 when it simply died! Anyway it was cheap hardware. The only thing that made him “server” was the software. 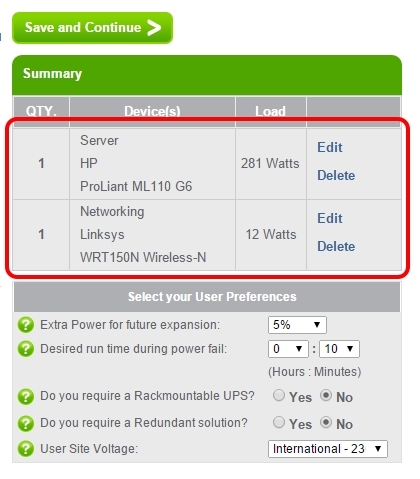 Of course, I replaced him, this time with a budget entry server (HP ProLiant ML110 G6). At that moment it cost me 640 EUR. Since the first day is running 24/7 without problems. Ooo, do not imagine the server is hosted in a professional data center. It has its own room in my house (Iasi, Romania). I am glad so far I haven’t got issues with it, because I don’t leave there for more than 5 years. It has Lights Out 100 and is enough. In these days I use it as DNS server, ownCloud, private test environment, WordPress. Very nice approach using home-made stuff. I get something similar, but just a laptop instead a server ))))(I got a plan to change that in near future). However, I use it also for TV streaming, just to watch native channels when staying abroad. If you attach a DVB-T USB stick and install some streaming capable program, you will get free of charge lots of native TV channels via internet, no matter where you are physically. Cheers, buddy !